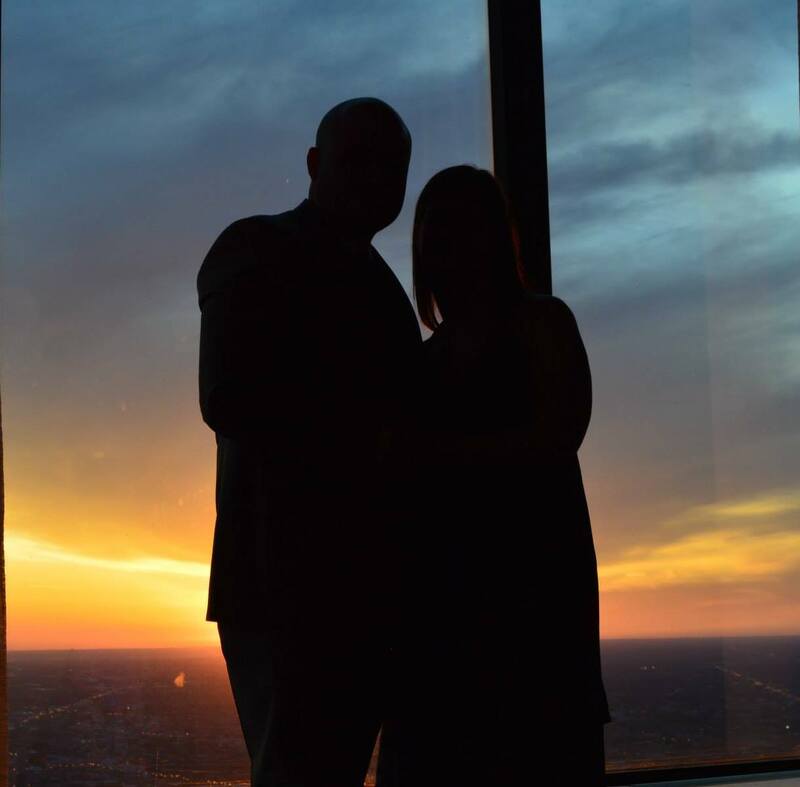 On May 24, 2014 Gavin and Maria had planned to spend the weekend in Chicago to celebrate their second anniversary of the first date (almost two months late, but better late than never). They spent a beautiful day kayaking on the Chicago River, taking in the sights and sounds of the city. They hurried back to the dock, making sure that they had enough time to get to their dinner reservation. Gavin had made reservations at the Metropolitan Club in the Sears Tower. What Maria didn’t know was that Gavin had reserved their own private room at the top of the Sears Tower. Maria was very surprised when they arrived and were ushered into their own private room overlooking Chicago. What made this particularly special was that about 2 years previous, Gavin and Maria had shared their first kiss about 1,400ft below this spot at street-level outside the tower. So, during dinner, Gavin got on one knee and asked Maria to marry him. She said “YES”!